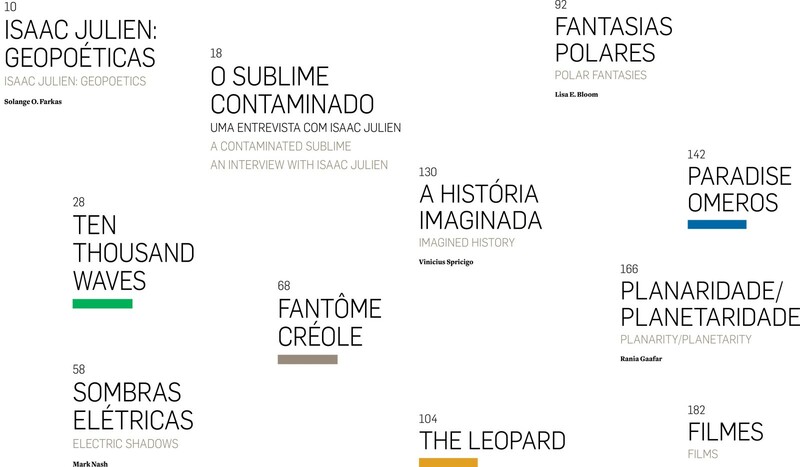 Isaac Julien: Geopoetics is a publication produced on the occasion of the artist's homonimous exhibition in SESC Pompéia, São Paulo, Brazil where Julien exhibited four multiple-screen installations. 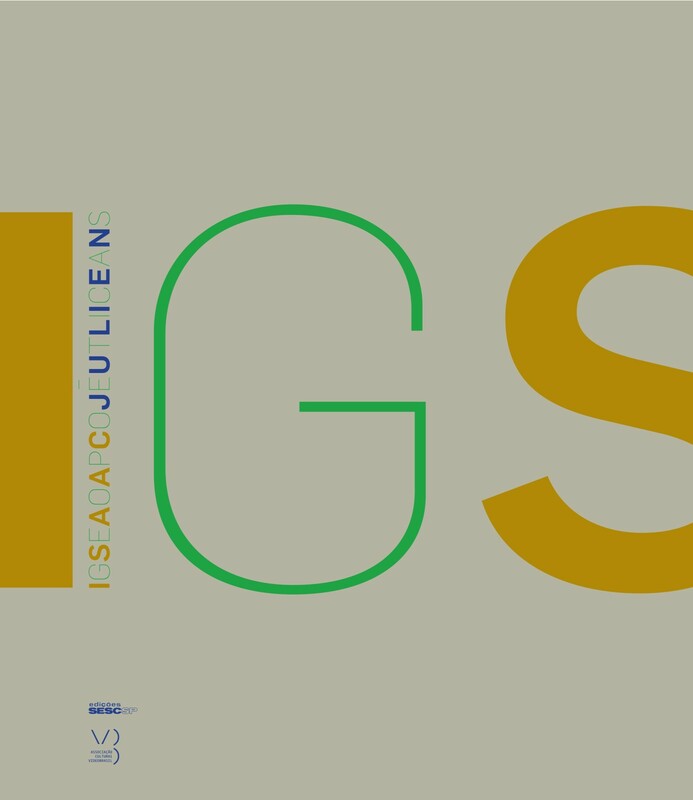 Isaac Julien: Geopoetics was curated by Solange Farkas. The catalogue includes essays by Lisa E. Bloom, Solange O. Farkas, Rania Gaafar, Mark Nash and Vinicius Spricigo. The show spanned two decades of Julien’s production and set out to reveal to Brazilian audiences the dual character of his oeuvre highlighting both his deep concern with cultural identity, social affirmation, gender issues, and politics, and his thorough attention to formal aspects, which entails a sharp and precise use of colors and shades, multifaceted narrative constructions, and visual and sound superimpositions. The show’s title refers to the deep connection between artistic image and the way it positions itself in the world.